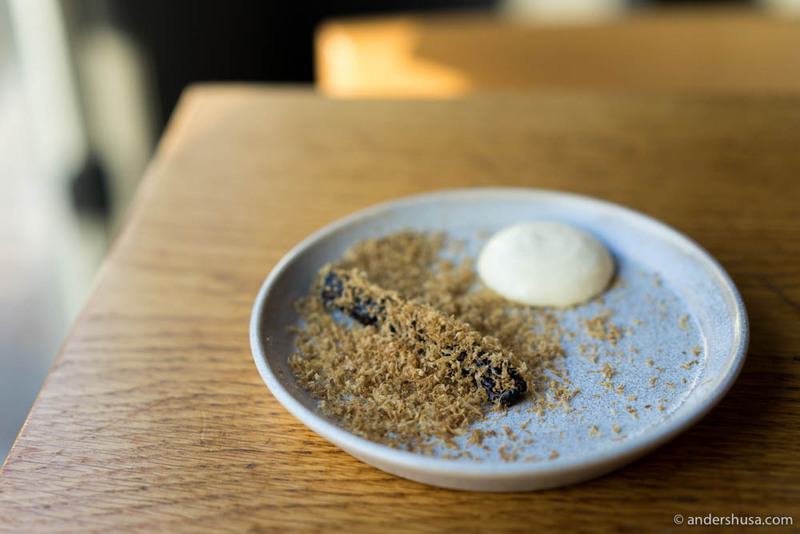 I had a mission when I went to Copenhagen in April this year, to visit more of the casual sister restaurants of the Michelin-starred flagships. Pony falls into that category, being owned by the Bornholm mafia. This friendly mobster group consists of Nicolai Nørregaard, Magnus Høegh Kofoed, and Rasmus Kofoed (no, the other guy, not Geranium’s head chef). 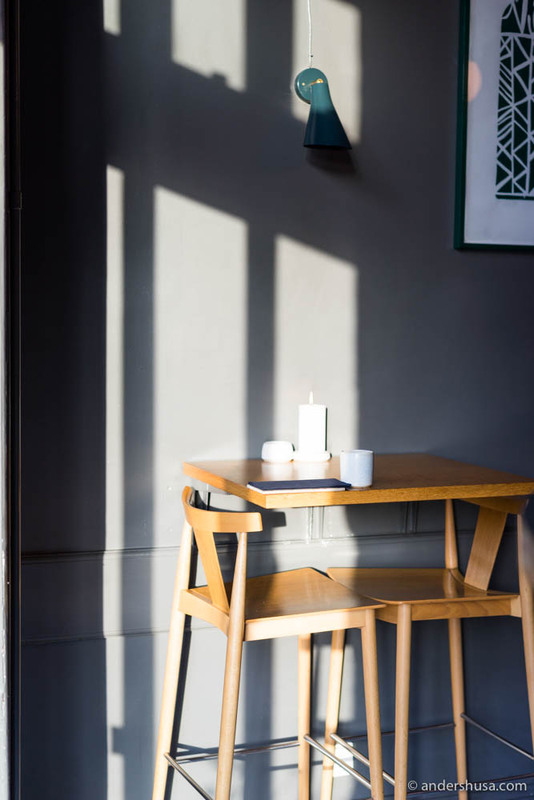 Kadeau has always been one of my favorite restaurants in Denmark, both their Bornholm and Copenhagen locations. I’ve only dined at the original Bornholm branch once, but, luckily, I’m going back this year. In Copenhagen, I’ve had the pleasure of visiting Kadeau three times, but now it’s been ages since my last meal. In the meantime, they got their second Michelin-star – something I’ve been saying for years they deserved. On my trip in April this year, I was also supposed to go back to Kadeau in Copenhagen, but faith wanted it otherwise and I got ill. Like, really sick. There was no chance of eating anything, and certainly not a 20-course meal. That was a sad telephone call to make – having to cancel on Kadeau. A few days later, however, I was back on my feet, re-energized, and ready for the Pony reservation. Due to some bad planning, I ended up dining alone at Pony. I’m not a big fan of that, since a good meal (for me) is almost as much about who you share it with, and the conversations you’re having, as the food you’re eating. When you dine alone, you are much more dependent on the hosts taking care of you, talking to you, and keeping you entertained. Not all waiters are good at that. Immediately, as I entered Pony on Vesterbrogade 135, I knew I was in good hands. 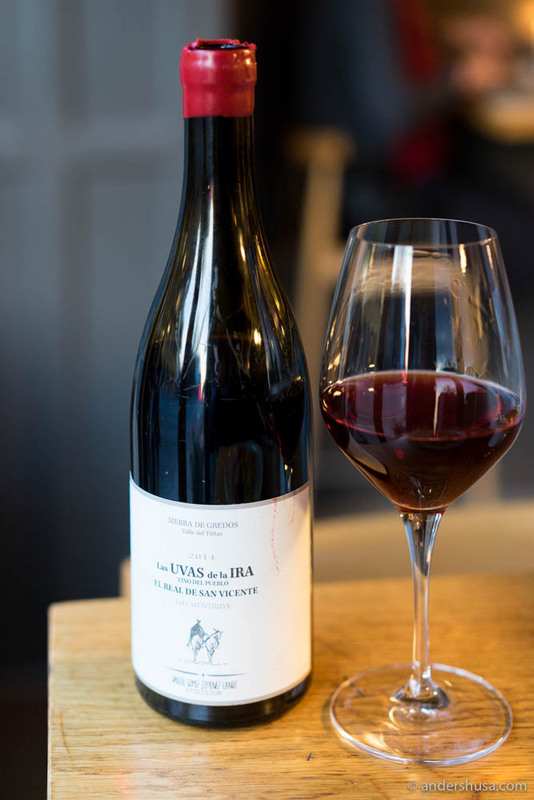 Without knowing any of the guys prior, two chefs were smiling and waving at me from the open kitchen and the friendly sommelier, who would serve me this evening, greeted me like an old friend. They gave me the best seat in the house – right next to the kitchen! It was like a counter-dining experience, except I had a table of my own. The chefs could plate the dishes and just reach out and hand them over to me. 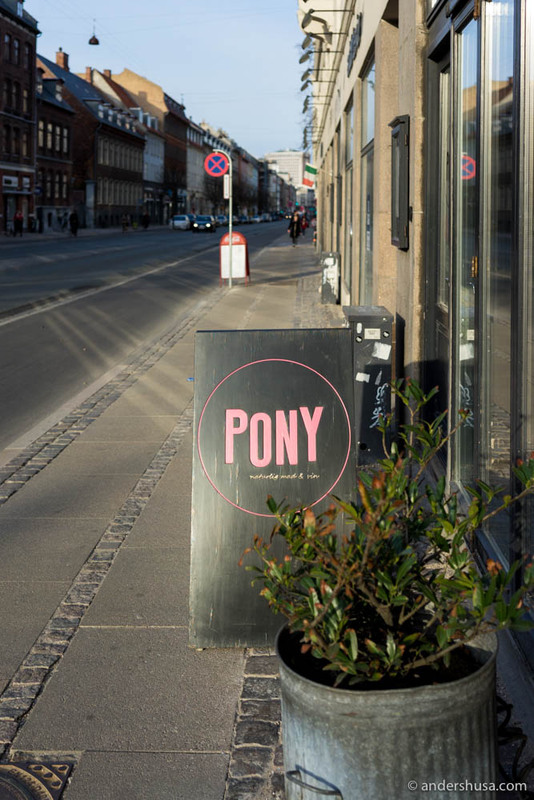 I had been to Pony before, but that was their pop-up restaurant on Bornholm called SommerPONY (which has later been turned into Nordlandet). Thus, I knew roughly what the concept and style of food would be like. From the à la carte-list you can choose among four starters, three main courses, and three desserts. Two courses cost DKK 325, and three courses cost DKK 425. 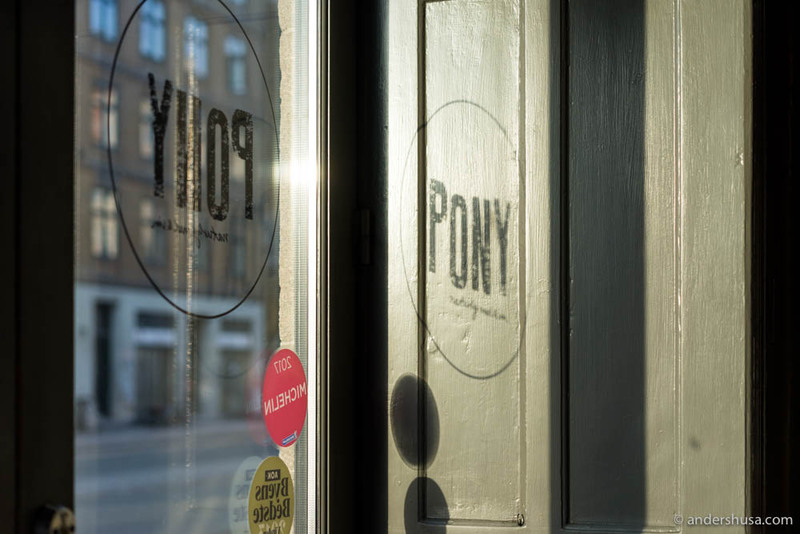 What you want, however, is the set menu called Pony Kick, where you get four courses priced at DKK 485. 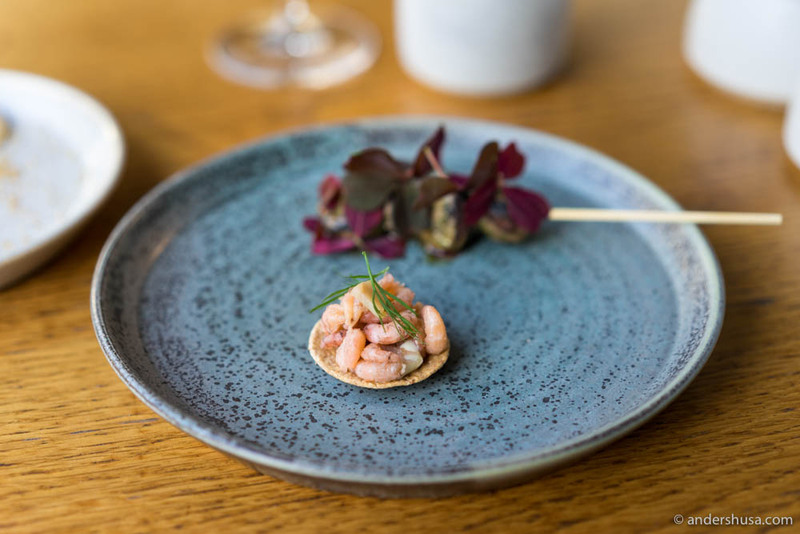 Then there’s the even better Pony Kick Deal, which adds a wine pairing, water, and coffee or tea with petits fours for an additional 400, bringing the total up to DKK 895. That is a pretty sweet deal in my opinion and great value for money. So, obviously, I went for that. The Pony Kick Deal also included some initial snacks. 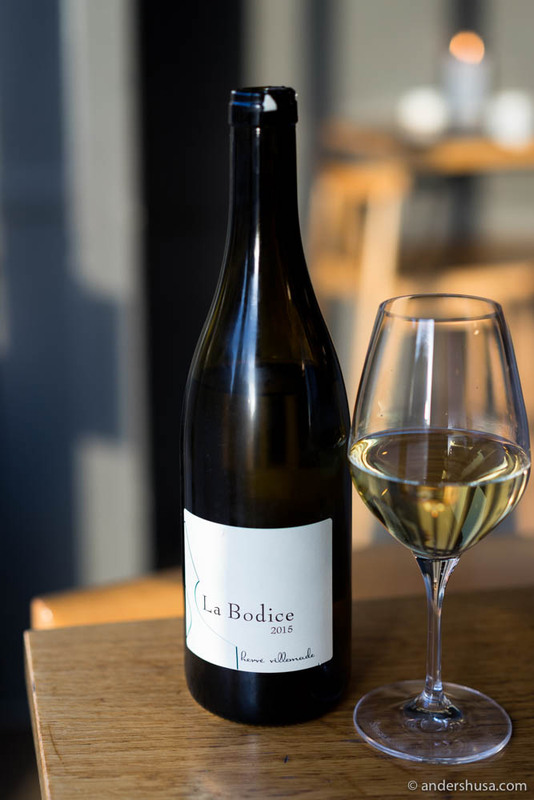 Including, an old Kadeau classic, which I’ve enjoyed in different versions at several of their restaurants (also at the now-closed Nabo). Dehydrated beets, intensely sweet and acidic, came with a drizzle of smoked, dried, and shaved beef heart, and a cream of yeast on the side. I love this so much – I wish it was a main course! It also made the two other snacks, albeit good, fade in comparison. 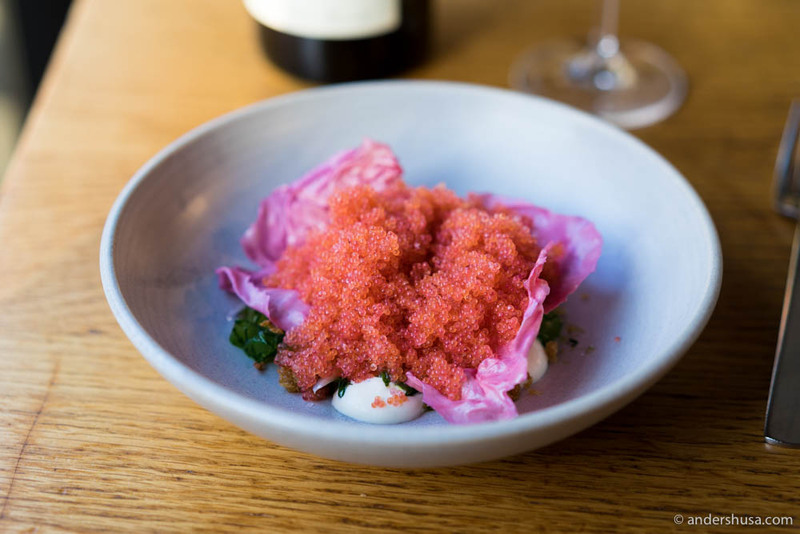 My starter was, to no surprise (if you read my previous story from Trio), a dish of lumpfish roe on top of crème fraîche, breadcrumbs, cucumber, onion, and pink radicchio. Pink on pink, and probably the prettiest lumpfish roe dish of my trip. The pile of roe (almost a bit too much) added so much texture and crunchiness that you could even do without the breadcrumbs. A refreshing bite of the sea, salty and bitter, with a wine that added the final balancing elements to the food. 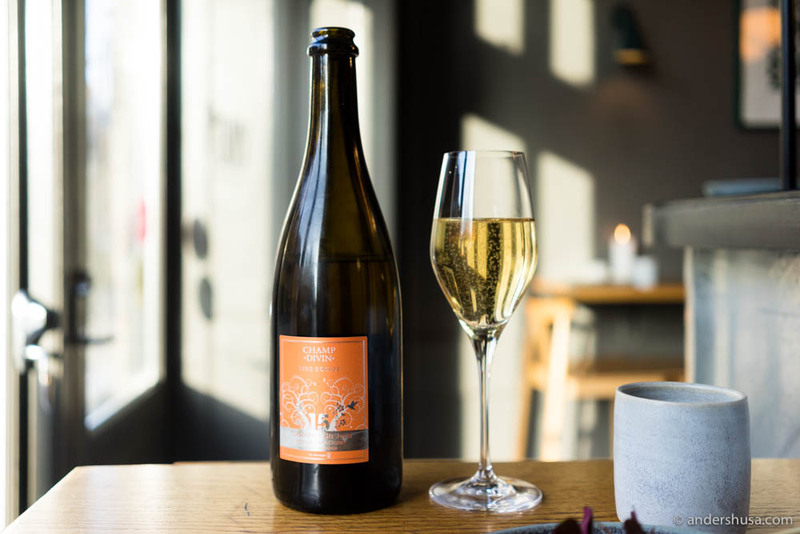 So far, the food was good, my sommelier was matching every course with a lovely natural wine and telling me stories about each one, and the last rays of sunlight was creating a wonderful play of light and shadows inside restaurant Pony. In short, I was enjoying my dinner-for-one very much. Tartelette with lemon mayonnaise and fjord shrimps in the front. Skewered and grilled duck hearts with elderflower vinegar gel & oxalis in the back. The same brilliant sourdough bread that I remember vividly from SommerPony, as well as my first visit to Kadeau in Copenhagen, came to the table. The bread has since been discontinued at Kadeau, for some reason, but it’s easily two-stars-worthy. A crunchy crust with a warm, soft, core inside, and a dollop of whipped butter on the side – light as air. 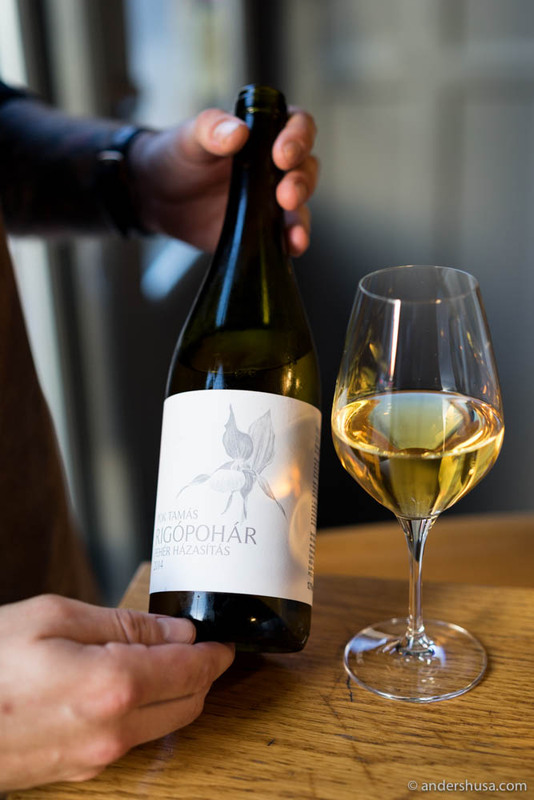 Another great wine, this one from Hungary, poured into my glass as the second starter of roasted sunchokes with slices of pears, a cream of cheese, and crispy chicken skin, was served. Sadly, the biggest letdown this evening, but in fairness, my expectations were quite high since I love Jerusalem artichokes. Cold and a bit dry, I couldn’t find any of those delicious caramelized, sweet umami flavors you can get from this lovely ingredient if you cook it right. Again, the wine provided the balance that was not as obvious on the plate alone. 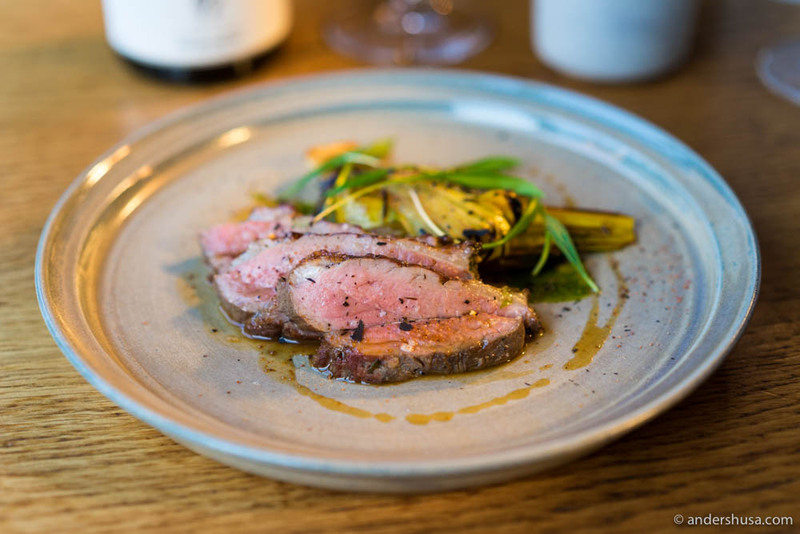 The main course of lamb with grilled leeks and a ramson vinaigrette put Pony back on the track where it belongs. Perfectly cooked, simple, and tasty. Exactly what I expect from a place like this. My meal ended with a dessert of citrus fruits, pound cake, vanilla cream, crispy white chocolate, and marigold flowers. 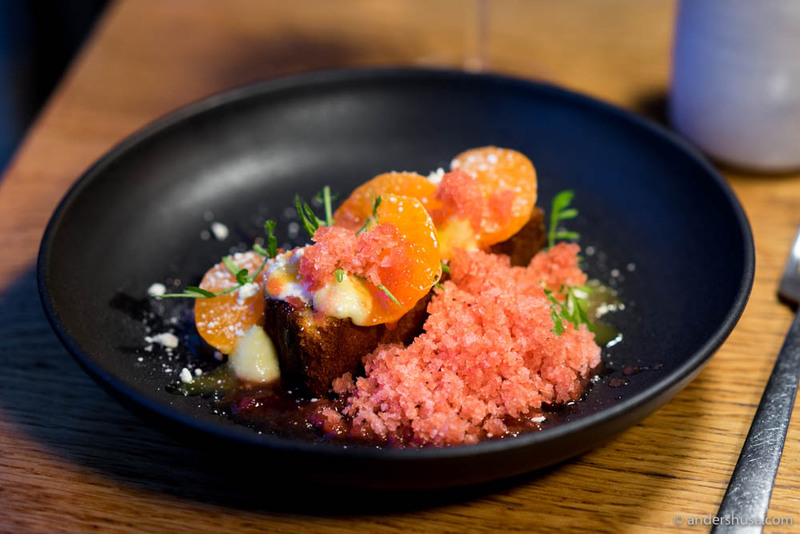 A rather untypical combination for an eatery that bases a lot of its menu on Bornholm ingredients, but does that really matter when it was delicious? To be frank, I’m not sure if Pony is supposed to reflect the Bornholmian landscape as much as the menu at Kadeau does. My guess is they give themselves more freedom here than at the mothership. As I cycled back to my hotel feeling satisfied – not too full, and only slightly drunk – it had been a wonderful evening at a great neighborhood restaurant. 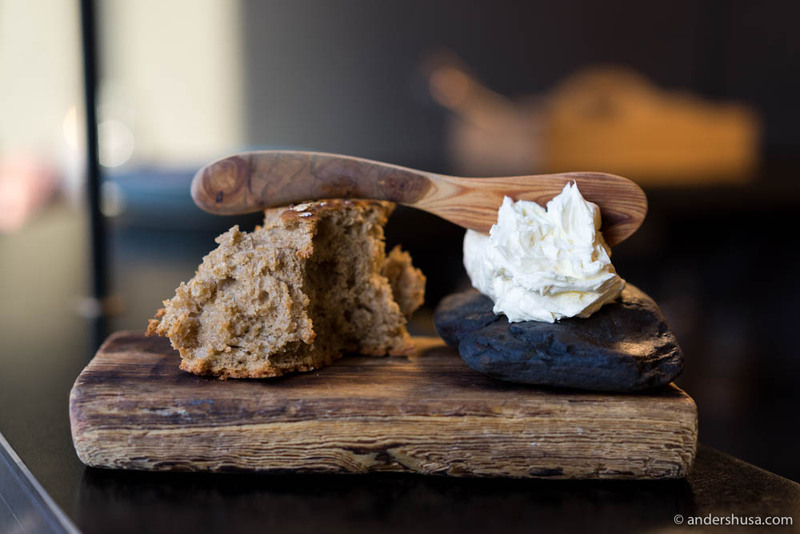 The old Kadeau bread with whipped butter! 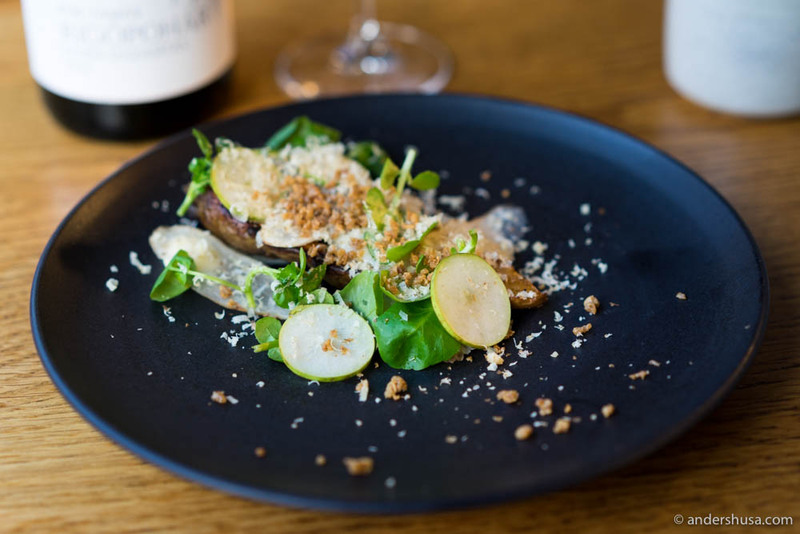 Have you been to Pony or any of the other Kadeau restaurants? Feel free to share your experiences in the comments below.